Amgen, Inc. Yields 3%. Is it a Buy, Hold, or Sell? Amgen, Inc. (NASDAQ:AMGN) now yields 3% after it raised its dividend by 15% for Q1 2017. This marks the start of its sixth consecutive year dividend hike. Is the biotech company a good buy today? What kind of total returns can you expect from an investment today? Thanks partly to share buybacks, Amgen has generated stable earnings per share (“EPS”) growth for at least 18 years. Even after the 15% raise, Amgen’s payout ratio is expected to remain below 40%. A group of 37 analysts believes Amgen can deliver EPS growth of 6.9-7.3% in the next 3-5 years. The high single-digit earnings growth rate and reasonable payout ratio should allow Amgen to continue its dividend growth streak. Moreover, any share repurchases from Amgen will help solidify that earnings growth. This entry was posted in Dividend Ideas, Investing, Seeking Alpha article and tagged NASDAQ:AMGN on January 5, 2017 by Passive Income Earner. So, investors should look for quality stocks, which have strong balance sheets, strong competitive advantages against their peers, and strong histories of profitability. Do higher profits imply more dividends for you? I mean, shareholders. Even after you’ve found a great business, it’s up to you to buy it at the right valuation to improve the safety of the investment. Here’s an example with Amgen, Inc. (NASDAQ:AMGN). As an overview, Amgen has a high S&P credit rating of A and a reasonable debt-to-cap of 46%. At the end of Q3 2016, Amgen had current assets of $45.84 billion which were 4.3 times greater than its current liabilities of $10.54 billion. Moreover, its cash, cash equivalents, and marketable securities were $37.98 billion. It also had long-term debt of $30.5 billion. So, Amgen could essentially repay that debt if it wanted to. Morningstar assigns the biotech company a wide economic moat rating, indicating it has strong long-term competitive advantages. Its wide moat protects Amgen’s long-term profitability. The company’s quality is showcased in its long-term earnings-per-share (EPS) growth chart. Do higher profits mean more dividends? This surely seems to be the case for Amgen. Since starting a dividend in 2011, the biotech has hiked it at a double-digit rate every year since. Its last dividend hike was 26.5%. At about $139 per share, Amgen yields almost 2.9% with a sustainable payout ratio of 35%. To reduce risk and improve returns, investors should never overpay for a company — even for high-quality companies, such as Amgen. The fair multiple varies for each industry and company. 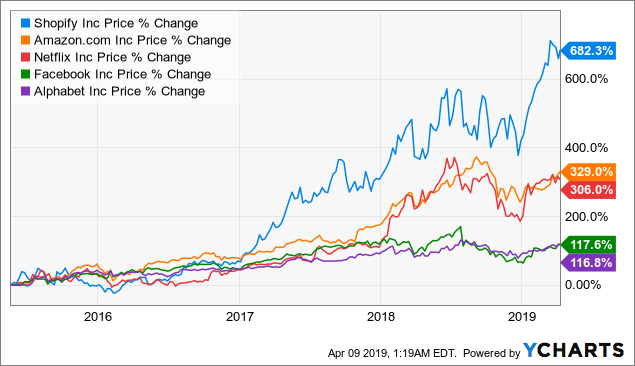 For Amgen, it’s reasonable to assign it a fair price-to-earnings ratio (P/E) of 15, which suggests a price of about $173 per share. Now that the biotech shares have dipped to below $139 per share (a P/E of 12.2), it’s a good time to buy it at a discount of about 20%. Morningstar suggests a fair value estimate of $194, which suggests an even larger margin of safety of 28.5%. To reduce risk and improve your returns, invest in quality companies when they’re priced at the right valuation. You will be rewarded over the long term. These companies should have strong balance sheets, strong competitive advantages against their peers, and strong histories of profitability. It’d be all the better if you choose companies which pay dividends, as dividends can only add to your overall returns with reduced volatility. This article first appeared in my premium service, from which my subscribers get priority attention and gain access to my real-time buys and sales. Feel free to try the service for free for two weeks. Disclosure: At the time of writing, the author owns shares in Amgen. This entry was posted in Dividend Ideas, Dividend Investing, Investing and tagged biotech, NASDAQ:AMGN on November 3, 2016 by Passive Income Earner.